formal or casual outdoor arrangement. 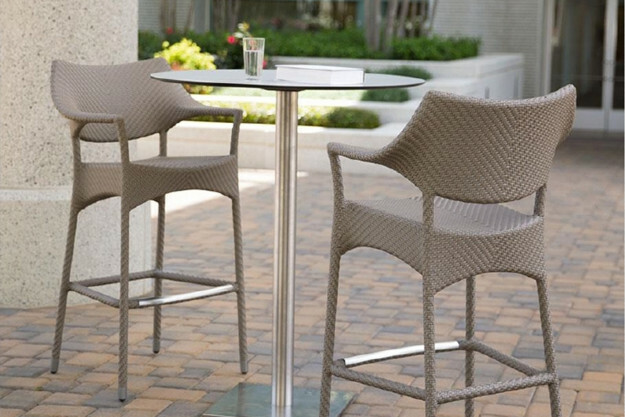 Wrapped in breezy synthetic rattan with a sturdy aluminium frame, it’s a perfect pick for poolside bars, patio dining sets and beyond. 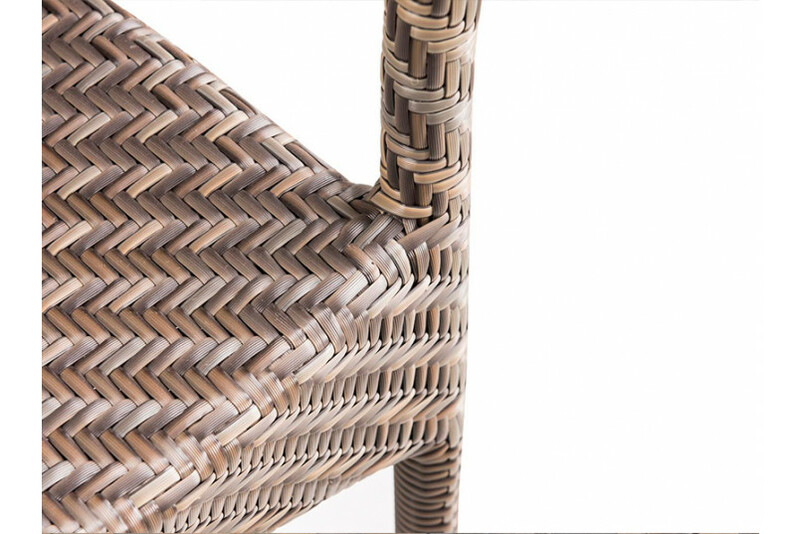 Hand-woven rattan upholstery and backrest feature impressive look. A built-in footrest won’t leave your feet hanging. Lean into this piece's versatility by adding it to a patio seating group alongside a complementing sofa for a cohesive arrangement. Perfect for perching with your latest novel and a glass of wine, this ideal design bar stool is a must-have addition to your well-appointed outdoor bar furniture arrangement.